From our favorite songs, to the voice of our loved ones, to the experience of making the sound of OM together in yoga class. Nikola Tesla said that the secrets of the universe are found in frequency and vibration. The yogis knew this, too, and they called those secrets Mantras. Alongside its regular offerings of level 2 asana and alignment inquiry, this series will introduce the art of Mantra. We’ll consider its history and theory, varying approaches to Mantra practice, and work through asana sequences designed to enhance your ability to absorb the riches offered by this most subtle and powerful gift of yoga. This workshop is a part of the ongoing Myths & Methods series. How did the ancients map a subtle anatomy, perceiving the roots of our physiological, psychological and emotional functions as whirling eddies of vibrating energy, or Cakras, placed along a central channel in the body? Why do these maps remain not just captivating as historical novelties, but relevant to us as practitioners today? Join us to inquire into what these early yogis found in their exploration-through-mindfulness of the human form. We’ll discuss the names, locations, and qualities of the major cakras and channels, and the deeper questions that may have motivated these practioners and pioneers in their quest for understanding. Course consists of contemplation and conversation, workshopping in asana, and fundamental pranayams (breath practice). April 24th & 25th @ Harmony Yoga, Newport, Or. Alison Alstrom is thrilled to be back at Harmony Yoga this spring, this time with stories of the monkey god Hanuman. Hanuman is of the most wonderous characters of the yoga tradition, known for his epic leap to help save the mythic Queen Sita from the clutches of a demonic king. He is an icon of courage and dedication, and he is nothing but an aspect of you. Join us to count the ways you may already be your own hero. A mythic King and Queen banished to the forest. A ten headed demon ruler foiled by lust and greed. A heroic vulture, a flying monkey, an epic love affair complete with betrayal and sacrifice. Join Alison for this latest offering of the Myths & Methods series and behold adventures and misadventures of some of yoga’s most evocative personalities. Level two asana will feature workshopping in handstand, as well as two poses selected by class participants on the first day. Join Alison to embody and interpret the symbols and metaphors of Yoga Mythology via the biomechanical insights of alignment focused flow. Cost: $96 – 10% TPY Member Discount – Early bird – 10% until December 11th! Please note our new time slot – 7:15 – 9pm! Alison’s Myths and Methods series are progressively sequenced, bio mechanically insightful asana sessions illuminated by the story and iconography of Yoga’s rich mythological tradition. 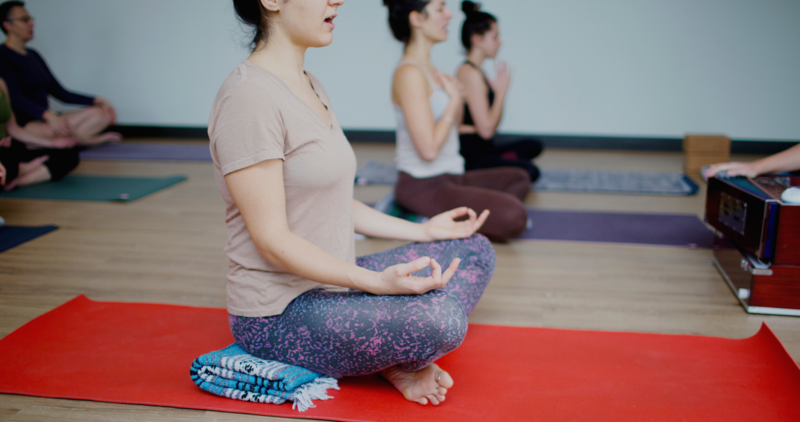 Participants in these sessions learn skills and strategies to fine tune their asana practice, while being guided to explore the many layers of their human experience. In this 6 week series we examine some of the key teachings of Yoga’s most celebrated fable, The Bhagavad Gita! This topic is both super timely and totally timeless, The Gita is yoga’s call to arms, and asks us for nothing less than to take a stand – for our most deeply held values, and for our very selves! Our Asana focus will be level two standing poses and handstands. Get to know why Krishna tells Arjuna to take a stand – while you take a stand yourself. Fall is the season of the Goddess in the culture of yoga. In India, the diverse forms of the divine feminine are celebrated in a nine day festival called Navaratri . This happens just as here in the West, the Earth and we who inhabit her are turning inward to stoke the fires of our ferocious creative abundance. 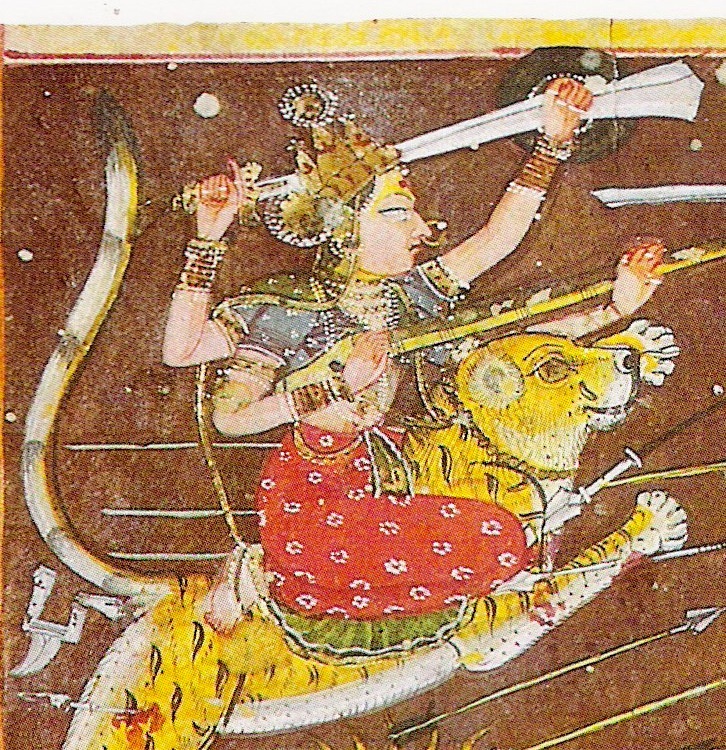 This fall in Alison’s Myths & Methods series, we look at Durga, the Great Mother. Join us to embody and interpret the symbols and metaphors of Yoga Mythology via the biomechanical insights of alignment focused flow. The first part of class will be an active to vigorous combo of alignment work with breath based movement. Level two poses will be offered, and deeper levels of alignment work will be broken down and work-shopped. There will be a philosophical / mythological backdrop (theme) on the topic of Durga and her place in the Yoga tradition. The last bit of our time will be story time – you do extended savasana and/or restorative work, I wax poetic about the Goddess D, and the way she is none other than you. Sound like fun? Me too! See you there! For every way that you are, there’s a diety for that in the Yoga tradition. Yoga’s Gods and Goddesses are archetypal characters that serve as gateways into your ability to better know, understand, and honor yourself. The insights gained through their contemplation are invaluable tools to aid you as you unfold your potential into the world. The 16 moon phase Goddesses, or Nitya-kala-devi, are 16 ways to ask yourself what you want. What you deeply, authentically desire. For eight Thursdays, we will get to know them through asana, story and image. Join us to get at the heart of your heart. Strong practice. Alignment rich. Take home practices will be provided for those who wish to go deeper. You know they are good for you – did you ever wonder just how to make the most of them? Join Alison Alstrom and Kate F. Busby for three, two hour classes, where we’ll look at alignment, preparatory work, strengthening and opening strategies for Headstand, Handstand, and Shoulderstand. Restorative inversions and forearm balance may also make an appearance. Come, learn, work, play like a child would – upside down!! Open to yogis of all levels. This June 20th and 21st, greet the Summer Solstice with the one who stands at every doorway, every passage and every new beginning. Ganapati, perhaps yoga’s most widely loved and iconic figure, has everything to teach us about the seams and thresholds of our lives, the places where one reality of experience bumps up into another, and the meeting place of day and night, of winter and summer, of spirit and nature, of self with self. Join Alison at Harmony Yoga to evoke this most welcoming and powerful of guides with asana, myth, and metaphor. Yoga meets you where you are. More to the point, yoga invites you to consider the possibility that you are exactly who and what you need to be, right here, right now. This is the proposition addressed by Triadic Heart of the Goddess tradition, whose three faces, Kali, Sarasvati, and Sri provide the raw material for every possible expression of the manifest world. 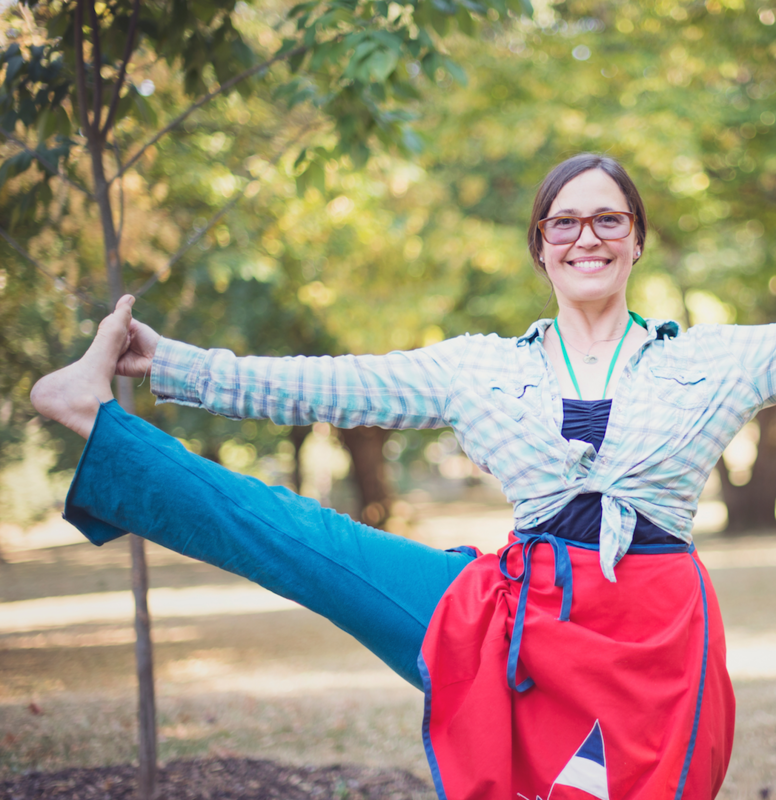 Join Alison in Corvalis for an afternoon of asana including hip opening, standing work, and foundational heart openers, while steeping in a colorful narrative of these most evocative of icons. This workshop is a part of the ongoing Myths and Methods series.